Trump: "Trade Wars Are Good And Easy To Win"
In a tweet that knocked US stock futures even lower in pre-market trade, sending the Dow futs over 200 points lower, President Donald doubled down on his support for tariffs on aluminum and steel that triggered an outraged reaction in global markets, and acknowledged that what he has started is nothing short of "trade war." hen a country (USA) is losing many billions of dollars on trade with virtually every country it does business with, trade wars are good, and easy to win. Example, when we are down $100 billion with a certain country and they get cute, don’t trade anymore-we win big. It’s easy! 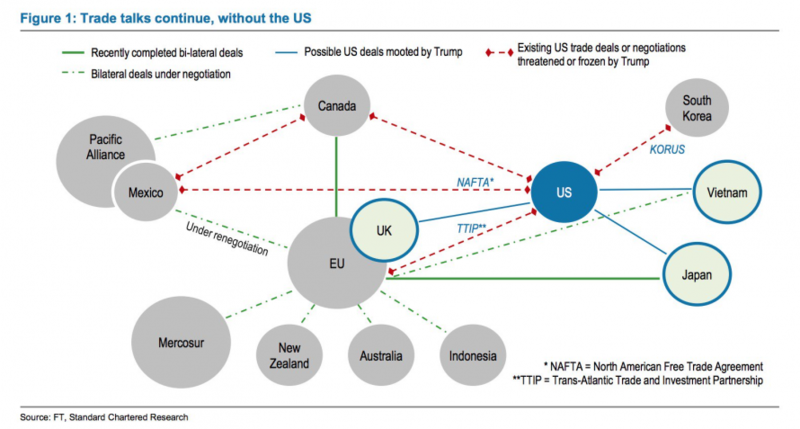 Most countries - including Canada, China and much of Europe - have already issued statements condemning Trump's decision, which also elicited outraged howls from economists and pundits, who argue that the tariffs will make American goods less competitive, and will dethrone the US from global trade flows as shown schematically in the chart below. 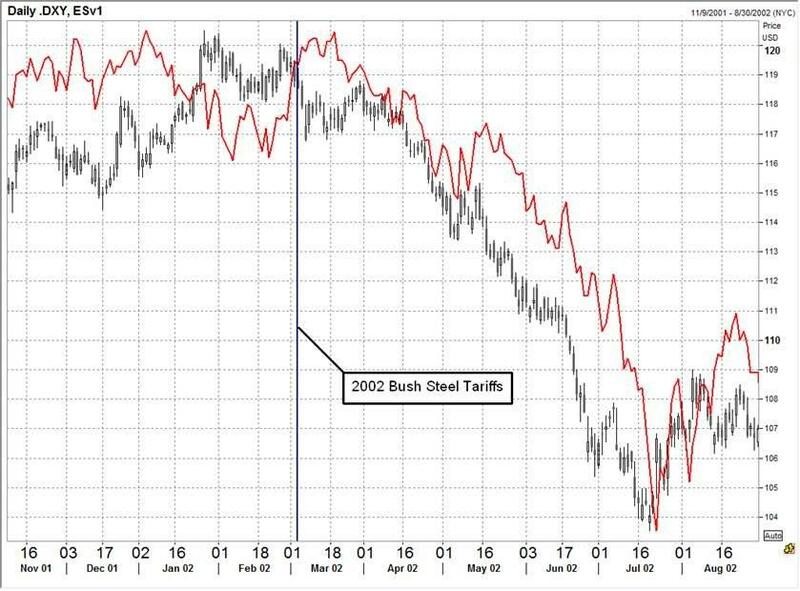 ... or the market tumbles too far and the president is forced to admit defeat, just like president Bush's own mini trade war before him, who in 2002 imposed tariffs of as much as 30% on steel imports before reversing course the following year amid a tsunami of retaliation from trading partners, but not before the S&P tumbled more than 30%, the dollar plunged and bond yields were cut almost in half. Confirming that even his base is questioning the decision, the Wall Street Journal published an editorial today characterizing the adoption of aluminum and steel tariffs as Trump's "biggest policy blunder of his presidency.